Here's a roundup of the best of the beer halls, which have won oodles of national awards and host happening happy hours, where locals and visitors alike are welcomed as old friends. 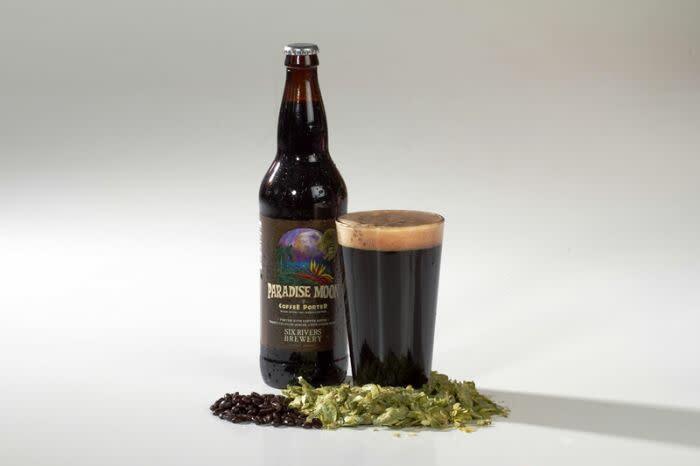 They include the U.S.'s first certified organic brewery and one of the first female brewmasters. This is the place with beer logos designed by the super-unusual/super-cool artist Duane Flatmo. They make the yummy Great White ale. Must be a great place to meet, eat and sip, as many are willing to dodge the giant, dangling spider that guards the front door. Free wi-fi. Arcata, CA 707-826-7222 There are 24 handcrafted beers on tap, free live music, shuffle board & board games, as well as special events-outdoor game activities on the weekends. Eel River Brewing Company in Fortuna is America's first certified organic brewery. 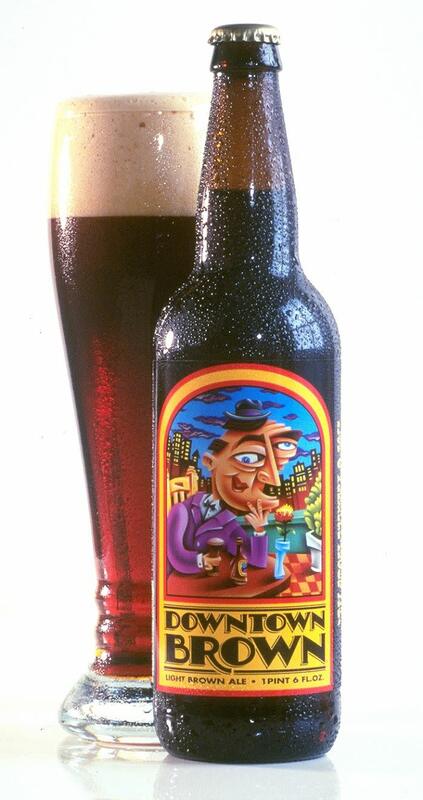 Won a gold in the aged-beer category and silver in the old ale/strong ale category at the 2006 Great American Beer Festival. The Tap room and grill is located on the banks of the Eel River. The tap room is frequented by students at the nearby Dell'Arte Physical Comedy School, and regulars who enjoy the warm afternoons on the patio. Maker of Steelhead Fine Ales, the true expression of the British ale tradition representing classic hand crafted character at its very best. Named No. 1 Small Brewery in the nation at the 2010 Annual Great American Beer Festival. This is the Brew with a view and a very imaginative brew master. Come into Six Rivers brewery to taste traditional beers as well as a variety of more exotic brews like the chili pepper ale, Rosie's strawberry wheat ale or the raspberry lambic that's made with 480 lbs of whole raspberries in a seven barrel batch. Six Rivers Brewery is also a great place to watch a game, have a wing and relax. 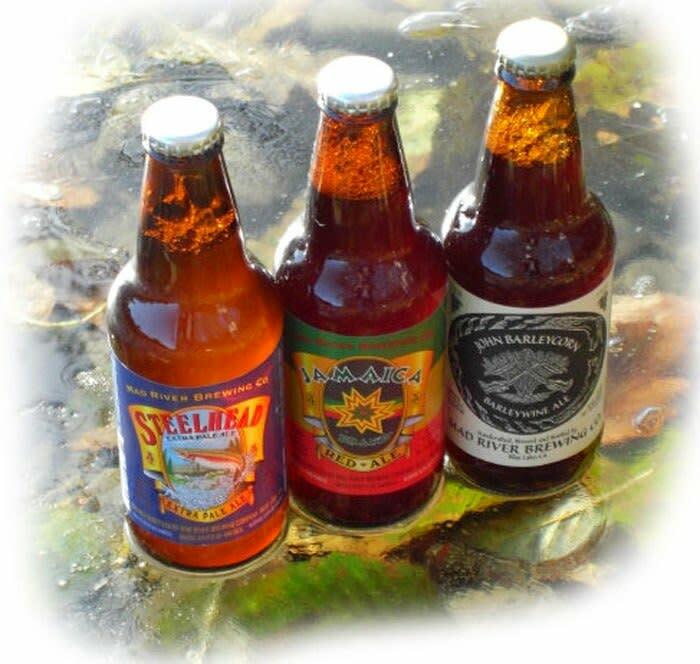 The best way to experience all of Humboldt County Microbreweries. 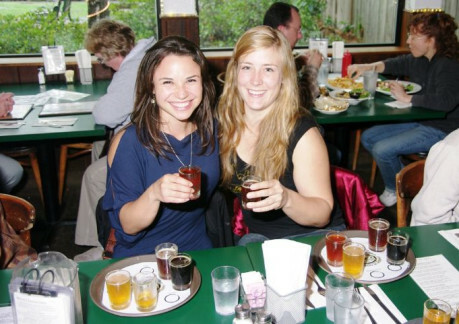 Tours include roundtrip transportation from the Humboldt Bay Tourism Center to each of the breweries and beer bars, complimentary lunch at one of the breweries, complimentary beer samplers at EACH brewery! (Each sampler includes 8-12 3.5 oz beers), a knowledgeable host to discuss the history of Humboldt County craft beer and brewing basics, a Behind The Scenes brewery tour.